Safety is a top priority for everyone, and it is especially so in our modern work environment. Like those who operate in the safety critical energy sector, flying passenger planes is a profession where safety is of the highest priority. 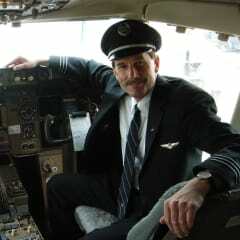 I’ve spent more than three decades flying US Airways passengers safely while logging tens of thousands of hours of flight time without incident. But, understandably, it is my role during the emergency landing on New York’s Hudson River in 2009 that garners most interest. Shortly after lift-off from LaGuardia Airport on a cold January afternoon, the Airbus A320 I was flying with captain Chesley ‘Sully’ Sullenberger was struck by a flock of geese. We were only moments after taking off, and at just 3,200 feet of altitude. The bird strikes resulted in the catastrophic failure of both engines leaving us powerless over one of the most congested landscapes on the planet. Despite being employed by the same airline for decades, that day was the very first trip that Sully and I had been assigned to work together as a crew. What contributed to us landing the plane safely on the water was the fact that Sully and I were trained to the same standards utilising identical standard operating procedures. Even in a life-threatening emergency situation I knew exactly what Sully would do, and he knew the same of me. In the eye of the storm, the sum of our training; our shared knowledge of the airline’s safety protocol; and our experience as pilots, all kicked in. It’s what everyone working in a safety-critical role trains for – to develop a built-in, instinctive knowledge of what to do in the event of an incident. I’m looking forward to sharing my story at OPITO Global – the Safety and Competence Conference in Kuala Lumpur, Malaysia in November. In line with this year’s theme, ‘Skilled for Safety’, I believe that my experience has significant parallels to operating safely in the energy sector where people often must instantly coalesce as teams to combat catastrophic failure. The tremendous safety record of the US airline industry is directly due to a significant change in attitude towards safety and training standards. This is something the aviation industry shares with oil and gas. Both have endured major incidents, investigated what can be done to prevent them and updated their methods accordingly. But it is an ongoing process. Over the last 25 years, the aviation sector has evolved significantly. It was once a stagnant culture, with the industry focused on making the aircraft safer but with little emphasis on making the people better and improving the skills of the flight crew. This complacent ethos lead to many accidents and, sadly, resulted in a substantial loss of life. To combat this, the industry looked at the relationships between those in the cockpit and beyond. Pilots, dispatchers, flight attendants, and air traffic controllers worked together and identified ways they could act more effectively as a team when an incident occurs. It is now the norm for every member of the team to train to common standards, honing their skills to make them competent in the event of a real-life emergency. In the oil and gas sector, it’s highly likely that employees will work with a different set of colleagues on each trip and that they’ll go to multiple locations and utilise varying assets. In a similar vein, it is common practice for pilots to operate with a different crew each flight. To support the necessary interaction with people who are unfamiliar, the airline industry has developed standardised procedures requiring all team members across the organisation to receive identical training and follow the same guidelines. This reduces confusion in an emergency situation and allows the crew to coalesce instantly as a team, ultimately maximising the safety of all on board. Similar to industry forums held in the oil and gas sector, where lessons learned and safety training requirements are discussed, the individual airlines in the US aviation sector also meet regularly to share consequential trends and debate best practice procedures. Both industries have developed a holistic approach to safety. It’s this method of constant improvement that must continue to be developed and built upon. Not every country works to the same high standard so keeping people safe no matter where they are travelling to – for business or pleasure – must stay firmly on every company’s radar. Skiles believes that life changes all around you, and if you can’t adapt and change with it, you can’t succeed. He attributes the success of the emergency landing on the Hudson to the extensive training that all members of a flight crew experience. From the mechanics and the maintenance workers to the people who write the emergency protocols and the flight attendants, he believes that every level of the US Airways organization is responsible for the outcome on January 15, 2009. While he and Captain Sullenberger piloted the plane to a safe landing, the success was a group effort representing the contributions of an entire organization.